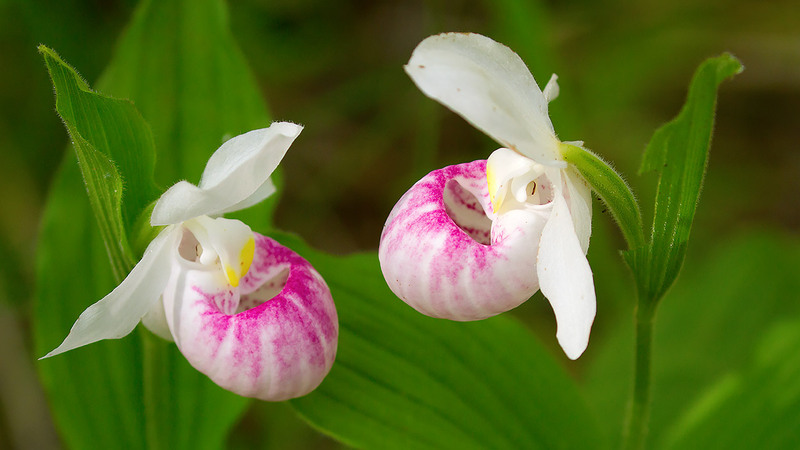 The Macnamara Trail Guide, available at the trailhead kiosk and downloadable in interactive pdf, provides a vivid explanation of the flora, fauna, and human history on view. The trail is made possible by the co-operation of the landowner, Nylene Canada Incorporated, the generosity of the K.M. Hunter Foundation, and the dedication and hard work of club members and community volunteers. 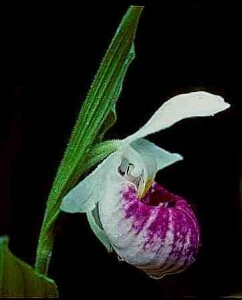 Among the many plants is the Showy Lady’s-slipper (shown at right), the club’s emblem, a spectacular orchid with one petal enlarged to serve as a landing platform for insect visitors. The pink to red pouch, open at the top, is designed to enlist bees as pollinators. It’s visible between late June and mid-July. Other wildflowers include blue vervain, Joe-pye weed, swamp milkweed, jewelweed and boneset. 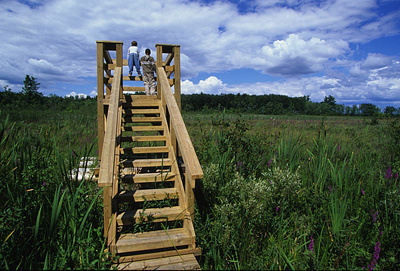 The Macnamara Trail is on private property, made available for the protection, study, and enjoyment of nature by its owner, Nylene Canada Inc., and managed by the Macnamara Field Naturalists’ Club. Activities not consistent with this purpose are not permitted on the trail or in the Nopiming Crown Game Preserve. 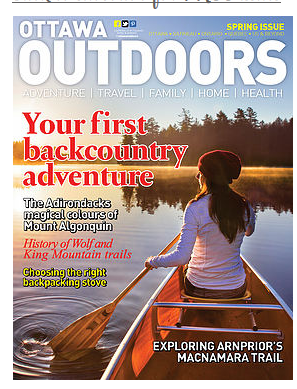 These activities include hunting, logging, harvesting wild plants, ATVs, snowmobiles, mountain bikes, and bringing dogs onto the trail. Dogs are not permitted on the Macnamara Trail. Accordingly, anyone found not respecting the rules including bringing dogs to the trail will be asked to leave. If they refuse to do so, or if they are repeat offenders, they may be charged with trespassing as the Macnamara Trail is private property. The Macnamara Trail begins on McNab Street in the southeast corner of Arnprior. From Highway 417 exit at County Road 29 (exit 180) and head north to Madawaska Boulevard. Turn left onto Madawaska Boulevard and continue for 1km to MacNab Street. Turn right on McNab Street (just after Rona) and look for the Macnamara Trail parking lot on the right after the entrance to the Nylene Canada plant. In the early hours of July 3, 2015, David and Owen Ridgen undertook a point birding survey of the Trail. That they observed a healthy population of Wood Thrushes, which are at risk, is a good sign that the Macnamara Trail is a very healthy ecosystem, notes Owen. His report is posted here. 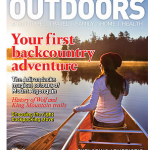 The Spring 2016 issue of Ottawa Outdoors featured an article by member Katharine Fletcher on the Macnamara Trail. You can read it here. Find information on the Macnamara Trail Extension project here.